On our first review promotion we decided to use a review service to offer 50 units of our first product at deep discount. The representative of the review service encouraged us to give it away for free, but in an attempt to spread out the reviews a little we decided to offer the product for $1.99. This is a product with a manufacturer’s suggested retail price of $29.99; we set a selling price of $19.99 and a perpetual “Sale price” of $17.95. Given that the review promotional price was only $1.99, the Amazon fees were calculated off of that price. In this case Amazon charged $1.00 for Order Handling, $1.04 for Pick, Pack and $0.63 for Weight Handling and $1.00 referral fee. These fees came up to a total of $3.67. Our revenue for each unit sold was $1.99 so our net loss per unit sold was $1.68. 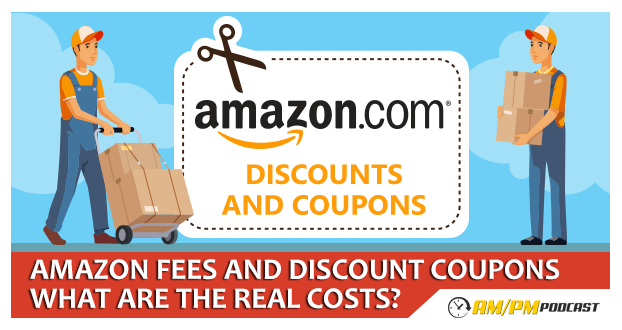 Additionally to the $1.68 of Amazon fees (minus revenue), we must consider the Cost of Goods Sold. Between product hard costs, and inbound shipping cost, our total per unit came to near $7. This means that for every unit we gave away to a reviewer we incurred a cost of $8.68. Going back to the fact that we gave away 50 units, the total cost of this promotion was $434. In retrospect, we probably could have charged a bit more for the discounted units without negatively affecting the outcome of the promotion too much and reducing the overall cost of this promotion. We started the promotion at around midnight, and in only an hour we already had 10 people take us up on the offer. The remaining coupon codes flew away overnight. I’ve put together the important numbers of this promotion below in order to make it easier to read and consume. Remember I’ve set up a community of Amazon sellers on Facebook; be sure to join in the conversation and get your questions answered today.